Putting patients through a series of exams can be intrusive physically, but it can also strip a person of his or her dignity. 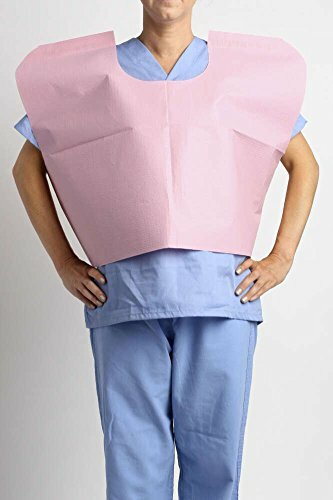 MediChoice Exam Capes provide a level of modesty for the front or back of the body, depending on how they are worn. The tissue/poly/tissue construction adds extra strength and soak-through resistance. These mauve capes come in a one-size-fits all 30 by 21 inches. White and blue are also available. MediChoice is Owens & Minor's brand of medical-surgical products and durable medical equipment that is expanding to meet the changing needs of healthcare. MediChoice, your choice for quality, value and unmatched service. Search MediChoice for additional product offerings.